HARRINGTON, Del. 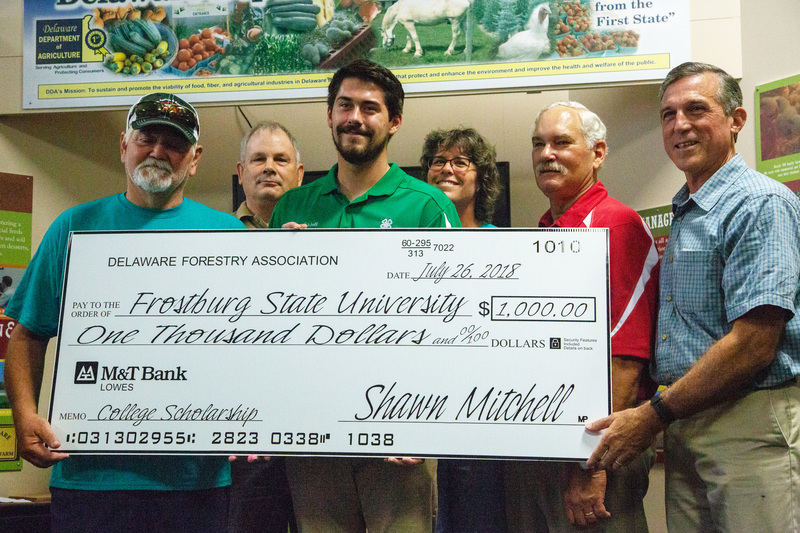 – Shawn Patrick Mitchell of Greenwood, a recent graduate of Sussex Tech who plans to study wildlife and fisheries at Frostburg State University, received the Delaware Forestry Association’s 2018 scholarship at the Delaware State Fair last week. 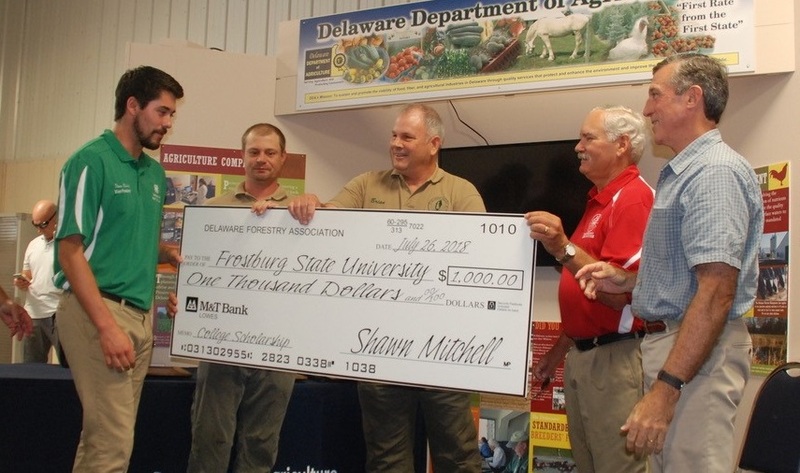 Agriculture Secretary Michael T. Scuse and Governor John C. Carney were there to present the ceremonial check to Mitchell as his parents David and Melissa looked on. Once he earns his bachelor’s of science degree, Mitchell hopes to be a game warden or park ranger one day.